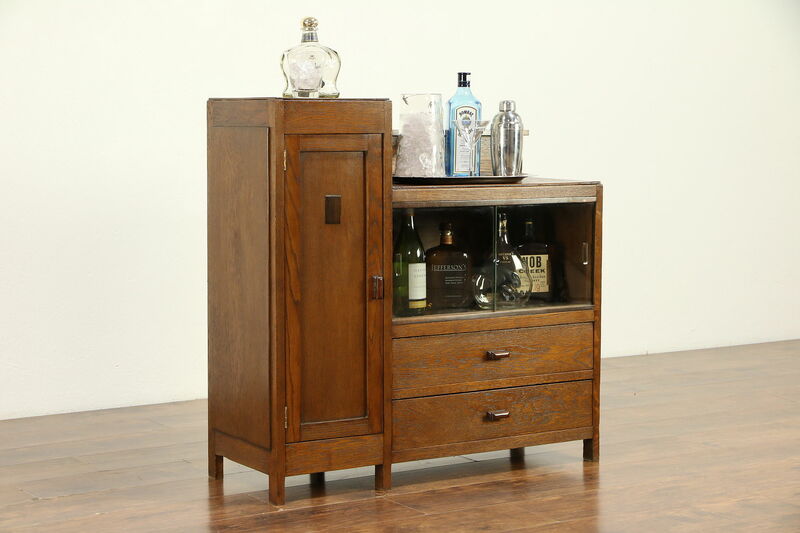 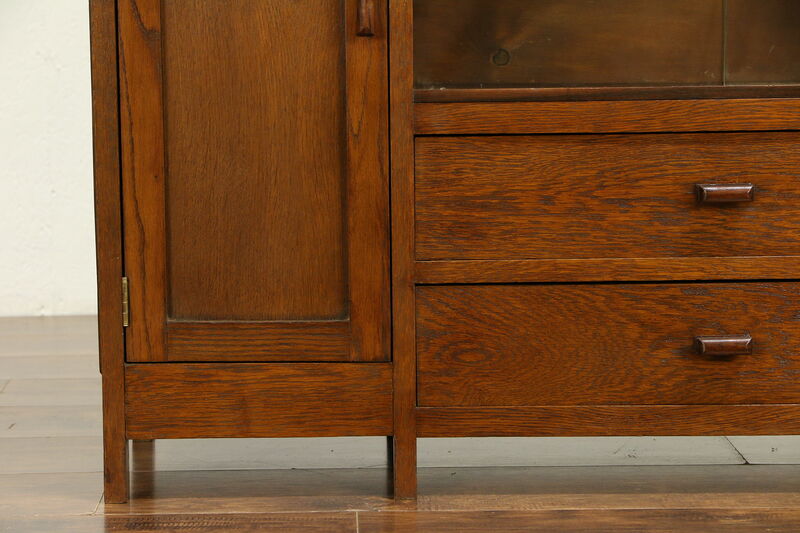 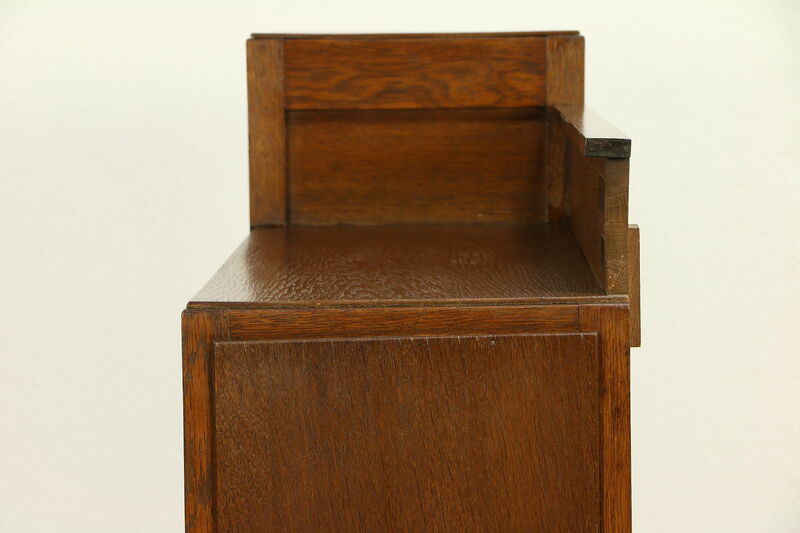 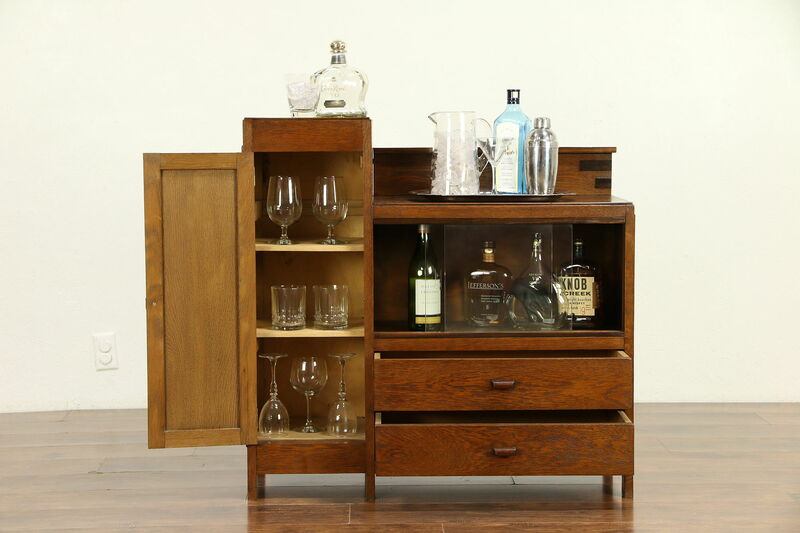 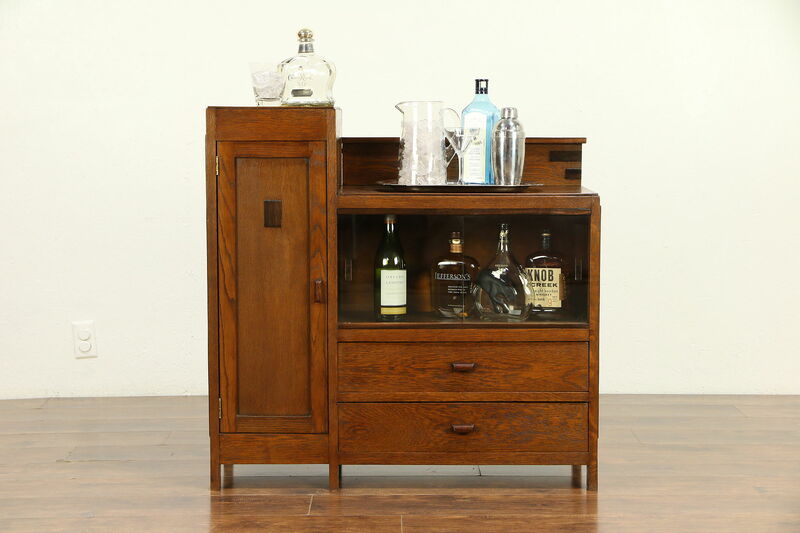 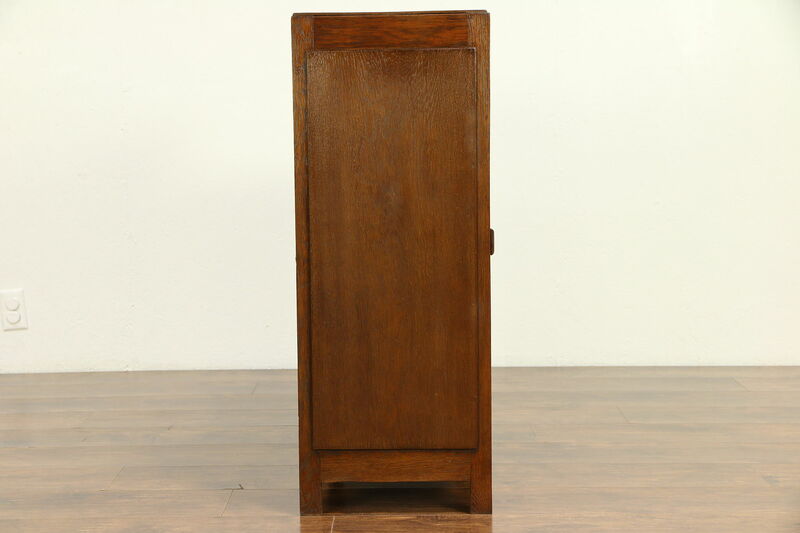 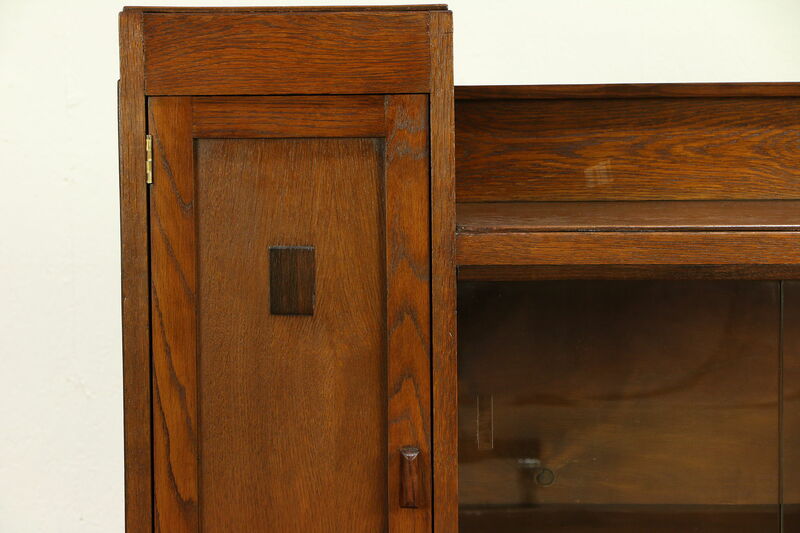 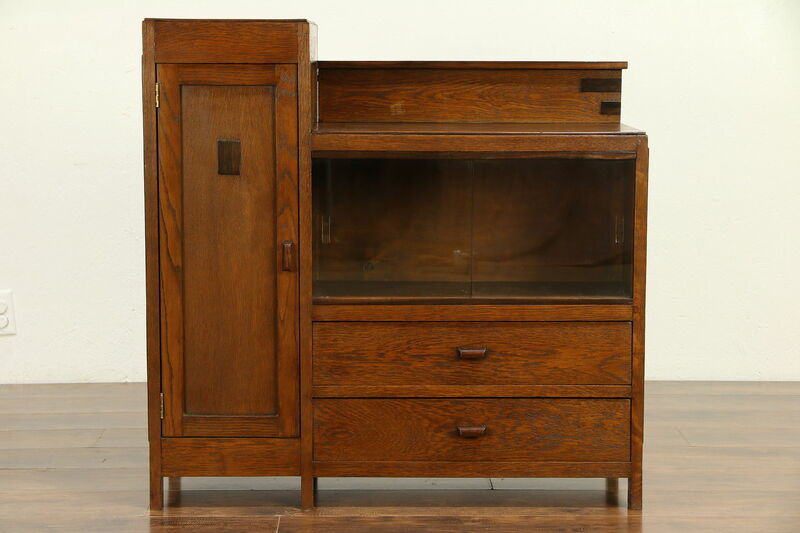 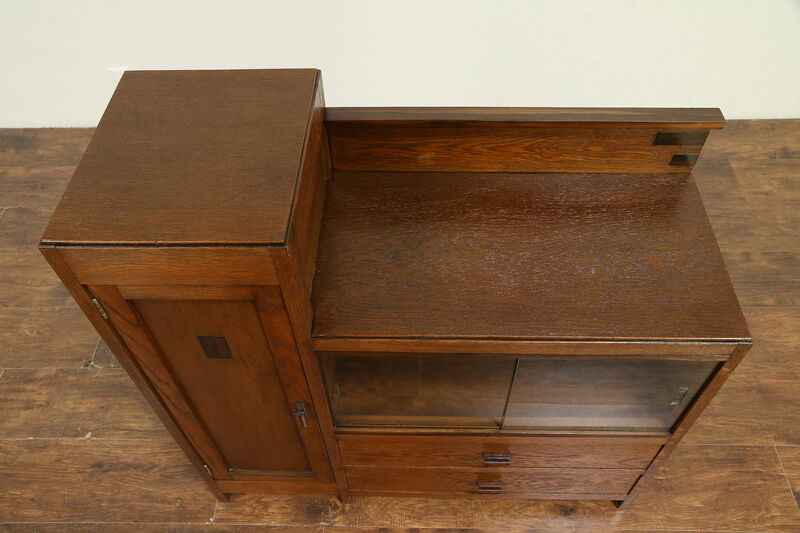 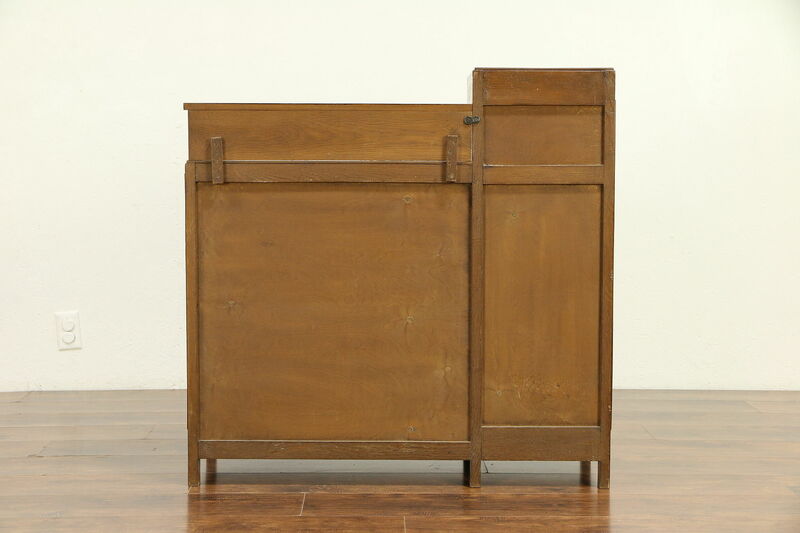 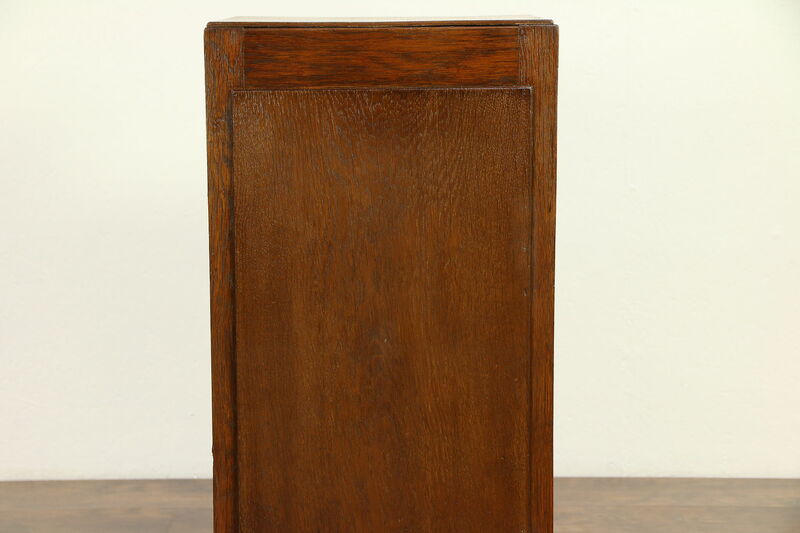 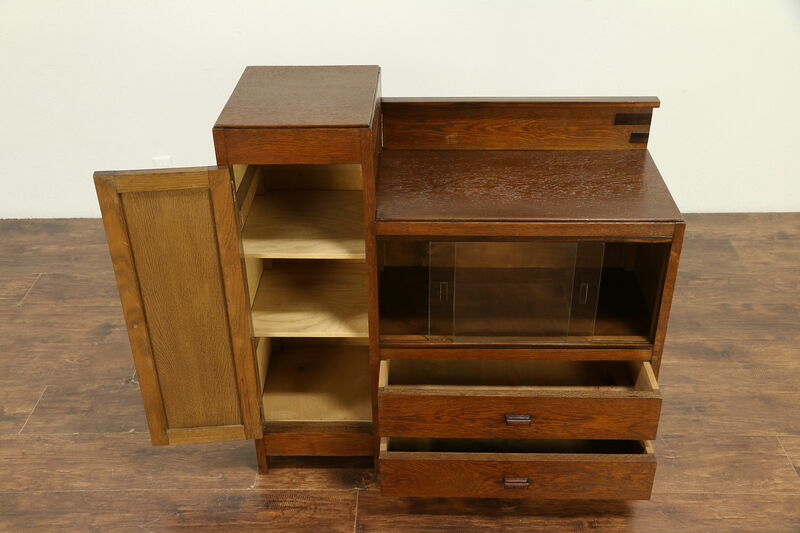 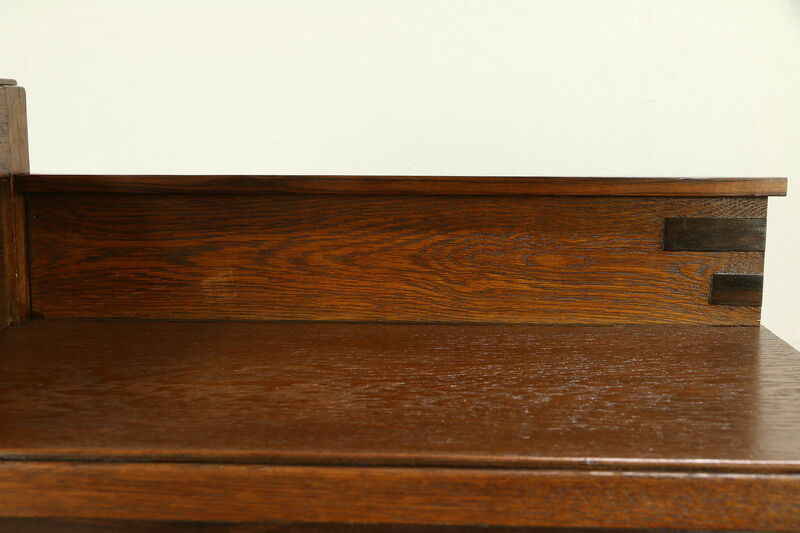 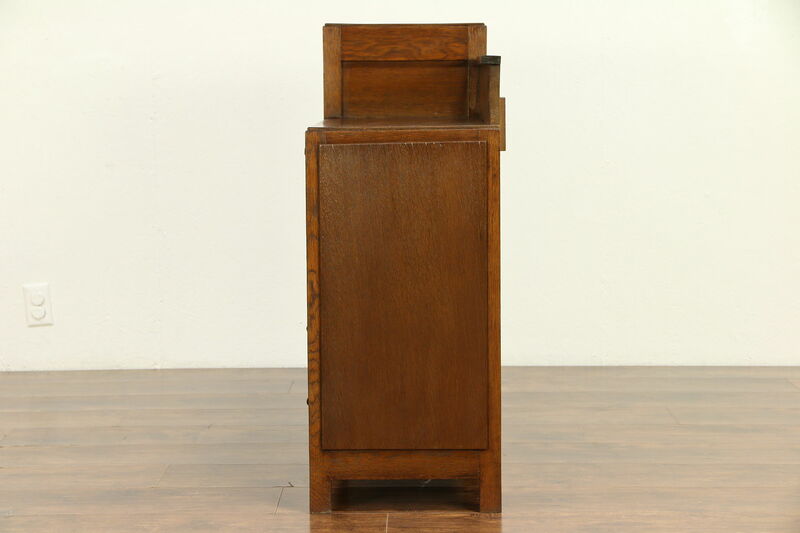 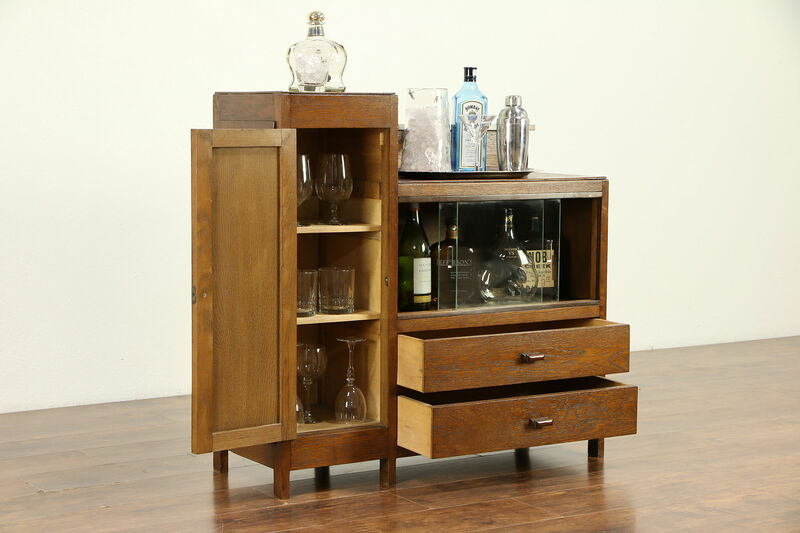 An Art Deco period sideboard, server or bar cabinet was expertly crafted of quarter sawn oak with genuine rosewood accents about 1930 in Scandinavia. 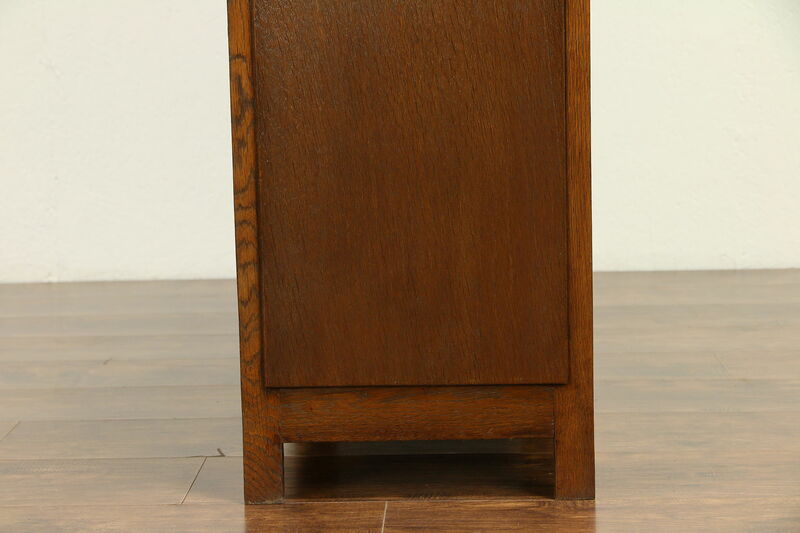 The tops have a restored satiny finish for durability, the rest of the original finish is in very fine condition with minor mars and touch ups. 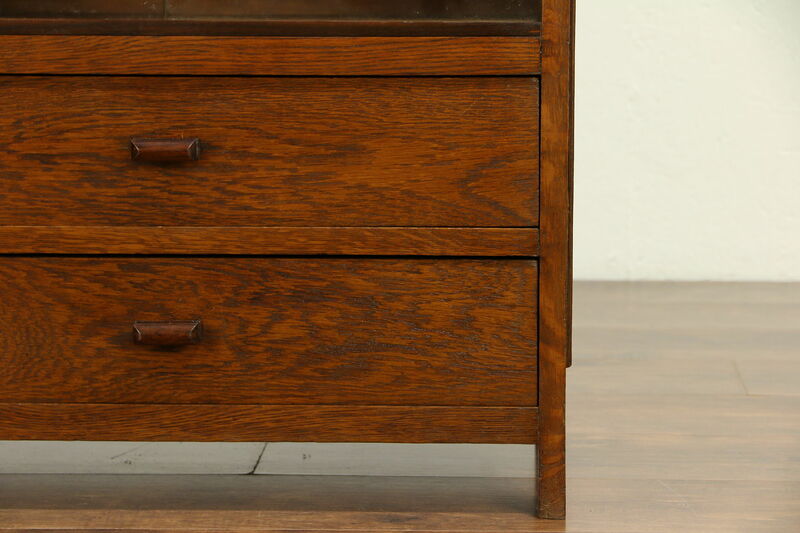 Waxed and buffed, all that is needed to maintain the luster is an occasional wipe with a soft dry cloth. 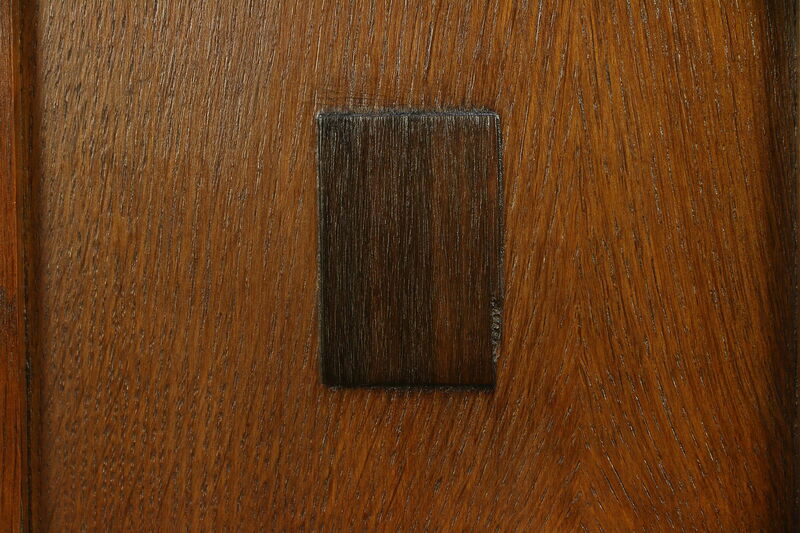 Carved pulls are original on this European vintage furniture. 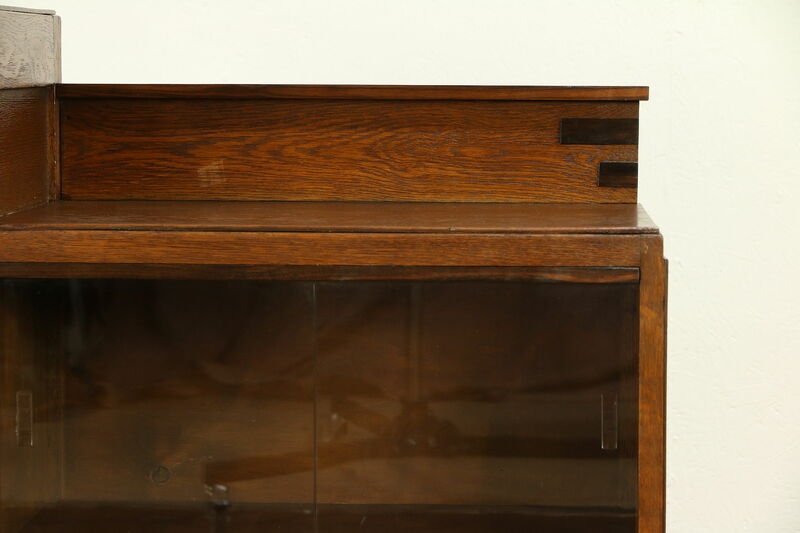 Sliding glass doors open to a display compartment. 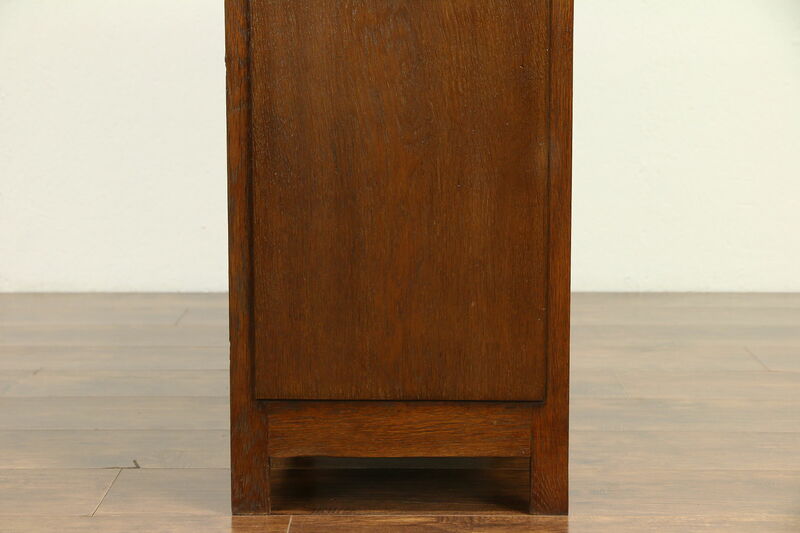 Measurements are 37" wide, 14" deep and 36" tall.